NASHVILLE, Tenn. (April 3, 2019) The highly anticipated groundbreaking for The Store, nonprofit free-referral based grocery store, happened this morning. On hand for the ceremony were co-founders Brad Paisley and Kimberly Williams-Paisley along with Belmont University President Dr. Bob Fisher, The Store Board of Trustees Chair Megan Zarling and The Store Trustee member and architect David Minnigan. In addition to outlining the vision for The Store, today’s event included unique surprises, including a commissioned artist’s print depicting Brad, Kimberly and Dr. Fisher in front of a rendering of The Store. 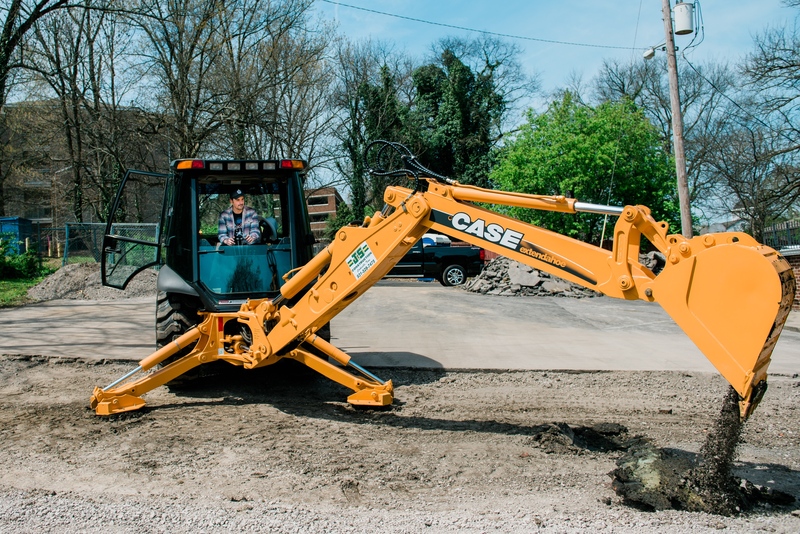 The highlight of the event came when Brad personally jumped onto the backhoe on site to officially break ground on The Store’s location. “I’m so excited to be here and see this dream come to fruition. In Nashville there are 1 in 7 people and 1 in 5 children that have food insecurity. That means they don’t know where they are going to get their next meal. The Store will be another resource to help families and individuals going through a hard time but working toward self-sufficiency,” says Kimberly Williams-Paisley. The estimated cost of the building is $1.5 million for 4,000 square feet. To complete raising funds for The Store’s construction, the “Brick Campaign” has been launched. With a donation of $500 or more, donors will receive a personalized 4x8 brick that will create the sidewalk in front of The Store. There are a limited number of bricks. Donations are accepted via the website at www.thestore.org/brick-campaign.html. Brad Paisley and Kimberly Williams-Paisley have partnered with Belmont University to spearhead The Store, a year-round free grocery store allowing people to shop with dignity for their basic needs. Individuals and families will be referred by nonprofit and government agencies for a term of one year. There is no charge to those referred or to the people and agencies that send them. They may shop for food to supplement their income during times of crisis and as they work toward self-sufficiency. A philosophy of community empowerment means The Store aims to solve hunger issues in its community by developing programs to meet the needs of the community, including partnering with other organizations on issues of food security. The Store believes in cooperation and collaboration between organizations to better serve the population. Over time, the organization plans to develop additional supplemental services beyond the grocery store, such as job training, cooking and nutrition classes.